Beautiful, long-lasting wood combines with everlasting style. Season after season, teak outdoor furniture remains a popular choice. This highly durable, long-lasting wood is resistant to moisture and UV rays, even after year-round outdoor exposure. No wonder it was used for centuries to build ocean-going ships. Our classic furniture pieces are crafted from solid Indonesian teak. 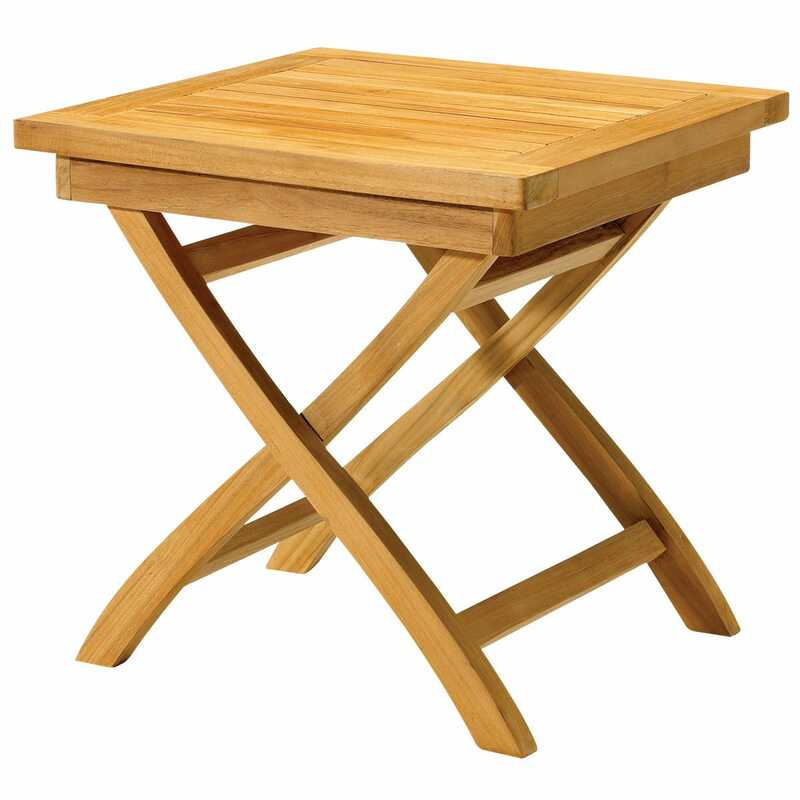 An excellent addition to any décor the Teak Side Table measures 18 inches square—18 inches high and folds flat for storage.